Three years ago, my mother decided that she wanted a blender to make smoothies. I wasn’t into appliances at the time so I didn’t pay much attention to her buying process. I just remember her coming home one day from the store with a big box. I thought the Ninja looked cool with all its attachments and safety features. It wasn’t until the next year when I started my fitness journey that the family blender caught my eye. How could I be a fitness chick without my smoothies? I’ve used the Ninja many times for many different things since. Just how do I feel about this blender after all this time? Find out below. Both of the bowls are BPA free, sturdy, and come with “lock-in” lids. The blades are also sturdy and very sharp. Don’t play around with these blades! The bowls, lids, and all the attachments are dishwasher safe. Yay for laziness! The motor base is easy to clean, non-slip, and heavy. This thing is not moving once you place it down. For even more stability the dough station can be used. The power cord is stored inside the base. There are three speeds and a pulse button. Time for the review part of this post. The Ninja is great as a food processor. I use it all the time to make batters and doughs. It cuts down on preparation time and it makes things easier in the kitchen. When it comes to making smoothies the Ninja gets a failing grade from me. The smoothies come out anything but smooth. 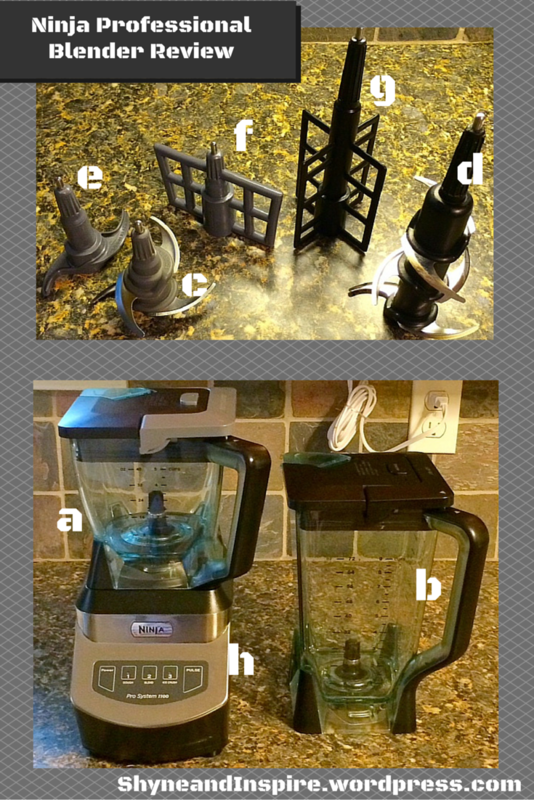 I did some research on what makes an amazing blender. A vertex was mentioned on almost every source. The Ninja can’t make a vertex because the blades sit in the center. The Ninja has a few nice safety features. 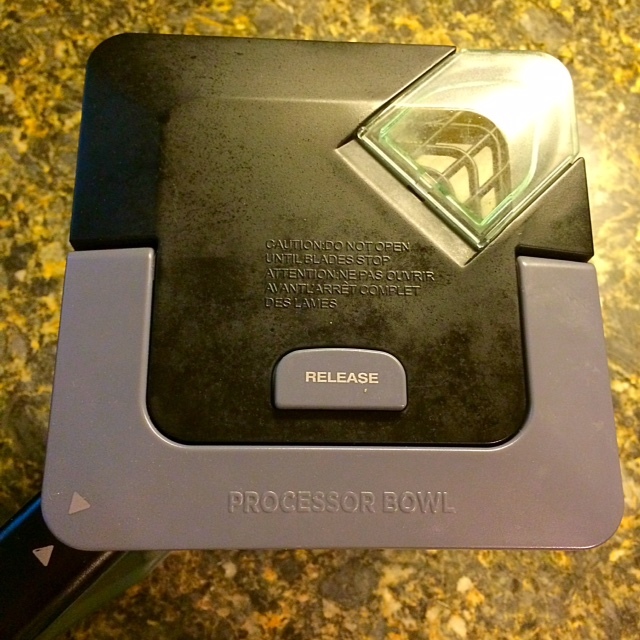 For example, the motor will not run unless the bowl is properly installed on the base and the lock-in lid is locked onto the bowl. Be prepared for a roar once you get the motor running. The Ninja is loud. My mom used to make her smoothies in the morning before work. The sound would shock me awake every time. Keep in mind my bedroom is on a different floor and the door was closed. It sounded like my mother was in my room right next to my bed mixing her smoothies. 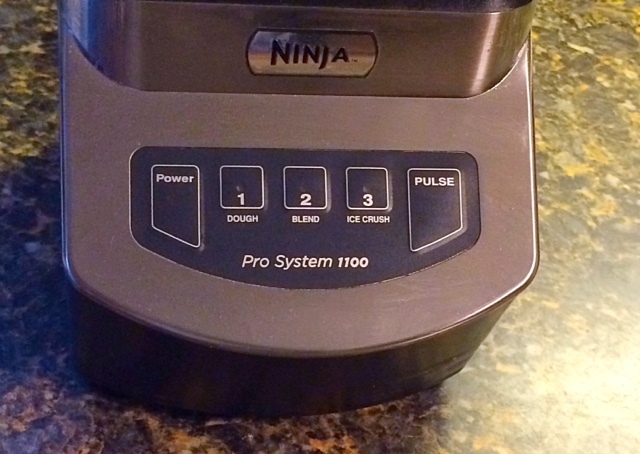 Overall, I love my Ninja as a food processor. I have been able to try my hand at making new and interesting recipes because of it. The only problem is that the Ninja can’t make a well-blended smoothie. I noticed that the newer models of the Ninja come with single serve cups. The blades that attach to those cups are at the bottom and allow for a vertex to form. I would guess that quality of a smoothie made with those models is much better than mine. Considering my main use for a blender is to make smoothies I can never be 100% happy with my Ninja. 95% happiness will have to do.